Rooftop Unit rentals (Specialty High Rise Restroom rentals), are designed specifically to meet the needs of contractors with crews working on multiple story projects.. 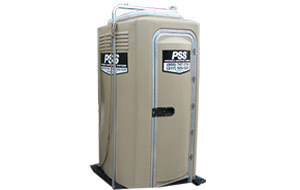 This style of toilet rental provides a cost effective means for restroom facilities. Time is money and unnecessary wasted minutes mean a loss of revenue. Portable Sanitation Systems understands your need to minimize downtime and will provide service in a prompt and convenient manner. Note: Unit cannot be lifted with a person inside. Well-vented to help reduce odors. Non-slip floor provides user safety. Inner door latch for maximum privacy. Large 60 gallon waste tank for maximum use. Lightweight construction allows for easy mobility. Large tissue dispenser holds adequate supply of tissue. Stocked toilet paper dispensers provide worry-free operation. Please Note: Restroom Unit Color may vary from photo shown. 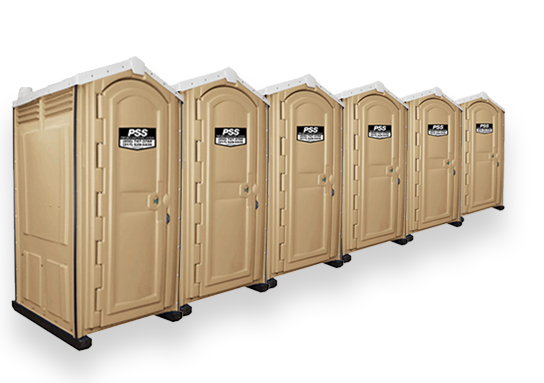 For additional information regarding our portable restrooms or if you would like to place an order please contact our Customer Service Team toll free at (800) 747-3784. We would love the opportunity to serve you and look forward to your call.